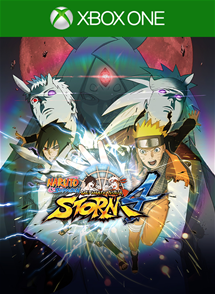 Fans of Naruto rejoice: the demo for Naruto Shippuden: Ultimate Ninja Storm 4 is available on the XBox One! In NARUTO SHIPPUDEN Ultimate Ninja STORM 4, a broad set of Ninja Skills will be yours to use against the fiercest foes you’ll ever encounter. Massive attacks in the form of “Ultimate Jutsus”, energetic evolutions with the “Awakening”, the inimitable shurikens & kunais and a unique playstyle for each ninja. Take advantage of the totally revamped battle system and prepare to dive into the most epic fights you’ve ever seen in the NARUTO SHIPPUDEN Ultimate Ninja STORM series. The highly anticipated game is set to be released on February 9th, but you can give the game a try right now on the Xbox One!